Management – Navitor Pharmaceuticals, Inc.
Dr. Tom Hughes has more than 30 years of industry experience in the development and commercialization of pharmaceutical products. Prior to joining Navitor, Dr. Hughes served as President and Chief Scientific Officer of Zafgen and previously led Zafgen as CEO from 2008 to 2017. During this time, Dr. Hughes established Zafgen as a leading biotechnology company working in the area of rare and prevalent metabolic disorders and led the company through its Initial Public Offering in 2014. Prior to Zafgen, Dr. Hughes held several positions at Novartis including Global Head of the Cardiovascular and Metabolic Diseases Therapeutic Area at the Novartis Institutes for BioMedical Research in Cambridge, MA. In these roles, he oversaw many drug discovery and development projects targeting major global aging-related health issues including obesity, diabetes, and heart disease. Dr. Hughes currently serves as a member of the Board of Directors of miRagen Therapeutics, Inc., is an advisor to Atlas Venture, and is a member of several scientific and strategic advisory boards, including Broadview Ventures, HotSpot Therapeutics, and Nimbus Therapeutics. 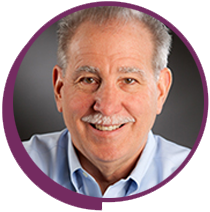 George Vlasuk is a scientifically trained executive with nearly 30 years of leadership experience in drug discovery and development at small and large biotechnology and pharmaceutical companies. Before joining Navitor, Dr. Vlasuk served as Chief Executive Officer of Sirtris, a GlaxoSmithKline Company, from 2009 to 2013. 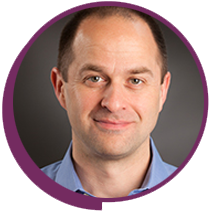 Prior to Sirtris, Dr. Vlasuk was the Vice President, Metabolic Disease and Hemophilia Research, at Wyeth Pharmaceuticals. Earlier at Wyeth, Dr. Vlasuk led the areas of cardiovascular and metabolic diseases (CVMD), focusing on Type 2 diabetes, obesity, diabetic complications, heart failure, dyslipidemia/ atherosclerosis and cardiac arrhythmia. Prior to Wyeth, Dr. Vlasuk served as Chief Scientific Officer and Executive Vice President of Research and Development at the biopharmaceutical company Corvas International, from 1991 until 2003, following the merger of Corvas and Dendreon Corporation. While at Corvas, he directed research in the discovery, pre-clinical and clinical evaluations of novel anti-thrombotic, anti-inflammatory and anti-tumor agents. As a member of the senior management team and the board of directors at Corvas, Dr. Vlasuk represented Corvas in discussions with potential corporate partners, public and private investors and equity analysts. Earlier in his career, Dr. Vlasuk led a research team at Merck and Co., and was responsible for multiple discovery programs in the field of cardiovascular medicine. Prior to Merck, Dr. Vlasuk was a researcher in small proteins and peptide compounds at California Biotechnology Inc. (now Scios, part of Johnson & Johnson), where he joined as one of the first 20 employees before the initial public offering. Dr. Vlasuk received his undergraduate degree in Clinical Chemistry from The University of South Florida and his PhD in Chemistry/Biochemistry from Kent State University. He received postdoctoral training in molecular biology at The State University of New York at Stony Brook, where he received a three-year fellowship from the National Institutes of Health. Dr. Vlasuk is the author of more than 100 peer-reviewed scientific publications, book chapters and reviews and 38 issued U.S. and foreign patents. 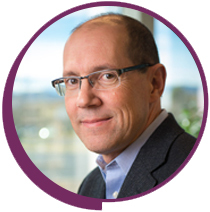 Rick Lundberg has over 25 years of strategic, operational and commercial experience in the life sciences industry that ranges from de novo ventures to leading global biopharmaceutical companies. Mr. Lundberg is a member of the company’s founding team and has overall responsibility for business operations, program management, finance and administration. Prior to joining Navitor, Mr. Lundberg founded 7S BioVentures, which provided business development and corporate strategy advisory services to emerging life sciences companies. From 2006 to 2009, he was responsible for ex-U.S. commercial strategy and business development at Targanta Therapeutics. Previously, Mr. Lundberg led therapeutics business development initiatives and managed the genomics services business at Celera Genomics. He began his career at Biogen, where he served for nearly a decade in a broad range of business roles, including business development, program management, investor relations, sales and marketing. Mr. Lundberg holds a BA in Biochemical Sciences from Harvard University. 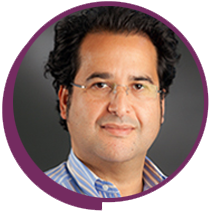 Eddine Saiah has over 20 years of drug discovery, research and development experience in biotechnology and pharmaceutical companies, and he has led the efforts in the advancement of more than ten new molecular entities into clinical development over his career. His expertise spans a broad range of drug targets for multiple diseases including diabetes, obesity, oncology, inflammation, cardiovascular and pain. Before joining Navitor, he led the drug discovery and medicinal chemistry activities for several portfolio companies of Atlas Venture, including Raze Therapeutics and Quartet Medicine. Previously, he served for a decade in senior R&D roles at Pfizer and Wyeth Research, which was acquired by Pfizer. Dr. Saiah was a Director of Medicinal Chemistry and Research Fellow at Pfizer, focused on R&D efforts in the inflammation, immunology and rare disease research units. At Wyeth, he served in R&D roles of increasing responsibility and ultimately as the Head of Medicinal Chemistry for the Cambridge, MA site managing cardiovascular and metabolic disease programs as well as inflammation programs on a range of drug discovery targets including kinases, G protein-coupled receptors, proteases, nuclear hormone receptors and protein-protein interactions. Dr. Saiah was a postdoctoral research fellow at the Mayo Clinic’s Neuroscience Research Center. He received his Ph.D. in chemistry from Pierre & Marie Curie University in Paris, France, and the Cancer Research Institute in Villejuif, France. Dr. Saiah is the co-author and co-inventor of more than 90 publications, scientific presentations and patents. 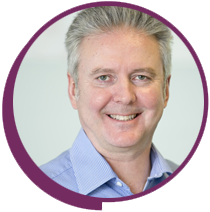 Martin is an entrepreneurial executive and leader with thirty years of global biopharmaceutical experience. He has achieved senior leadership positions in several multinational pharmaceutical companies, and public and private biotechnology companies. He has successfully closed over $3 billion in corporate development transactions and involvement in $265MM in financings. In addition to his role at Navitor, Martin is currently the Co-Founder and Executive Chairman of Yuma Therapeutics, an early-stage biopharmaceutical company developing small molecule drugs for neurodegenerative conditions, such as Alzheimer’s disease. Martin was the President and CEO of Tokai Pharmaceuticals, an oncology company with a small molecule in Phase 2 for prostate cancer. He was the Founder, President and CEO of USMarketer.com, Inc. a business-to-business marketing services and software development venture. Martin served as chief business officer at Dicerna Pharmaceuticals, an RNA interference platform technology company, where he closed a $1.4 billion partnership with Kyowa Hakko Kirin. He was chief business officer at Synta Pharmaceuticals, a small molecule oncology and inflammatory company, where he completed the company’s IPO and closed a $1 billion collaboration with GlaxoSmithKline for its lead oncology product. Earlier in his career, Martin directed the development and commercialization of several blockbuster brands, including GSK’s Zantac and Zofran; Roche’s Xenical; and Wyeth’s (now Pfizer) Zosyn/Tazocin. Martin has served on the board of directors of Paloma Pharmaceuticals, Tokai Pharmaceuticals, Diotima Pharmaceuticals and USMarketer.com, Inc.